Preheat oven to 350° F. Crush the crackers finely by hand or with a food processor. Don’t over crush. Add the sugar and coconut. Knead in the coconut oil until the crumbs hold together. 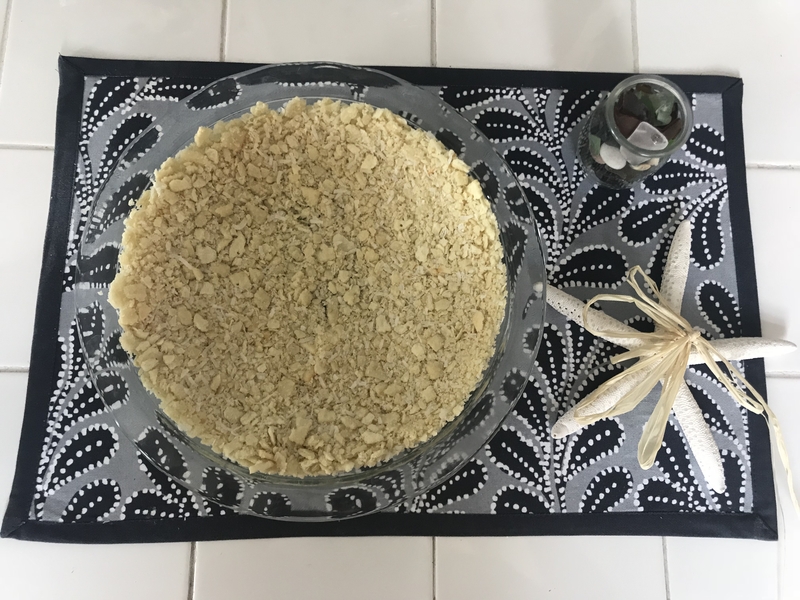 Press into an 8-inch to 9 1/2 inch pie pan. Chill for 15 minutes. Bake for 18 minutes or until the crust is golden brown. 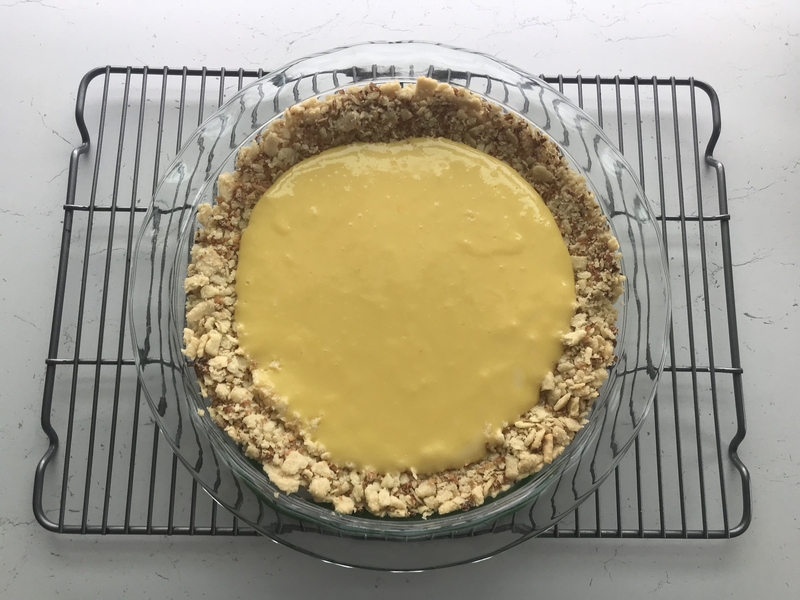 While the crust is cooling, beat the egg yolks into the condensed milk. Then beat in the citrus juice till completely combined. Pour into the prepared shell and bake for 16 minutes until the filling has set. 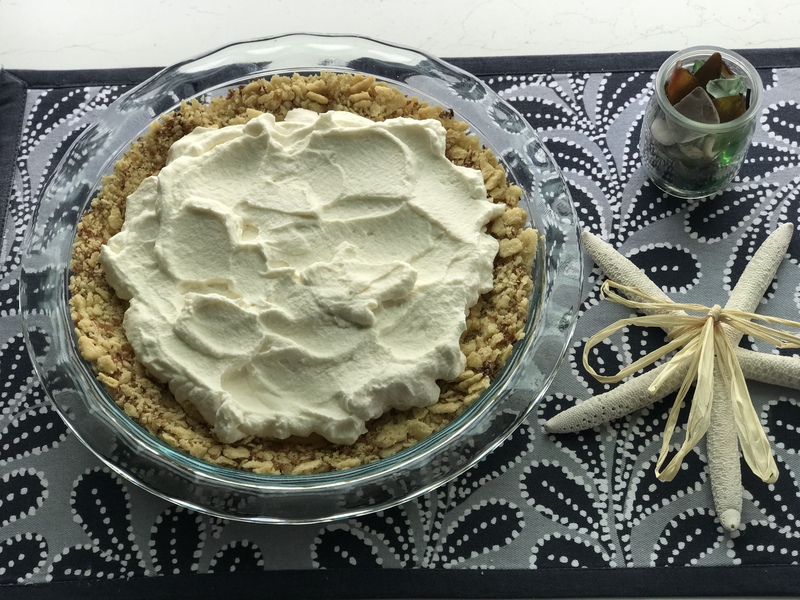 While the pie is baking, prepare the whipped cream. Whisk together the heavy cream, vanilla and 2 tablespoons of sugar on high speed for about 3 minutes or until soft peaks form. Once the pie has cooled completely, chill until cold. Top with the fresh whipped cream and garnish with coarse sea salt before serving.